Owning and maintaining a vehicle is a big responsibility. Part of that responsibility is getting car insurance for your car. While not all states require car insurance, it is helpful to have in the event you are in an accident. 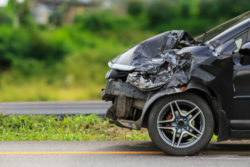 If you are involved in a car accident or hit by an uninsured or underinsured driver, your car insurance can help pay the costs of any necessary repairs and medical bills. If you do not have insurance, you might have to pay all of those costs out of your own pocket. The state of California makes car insurance a legal requirement. Knowing this, it is important for you to know what your car insurance policy should have and what it can mean for you should you end up in a car accident. Now even though liability insurance is all you legally need in California, there are other types of car insurance coverage that you can include in your policy. Comprehensive coverage will insure you against damages to your car that are not traffic-related. This could be damage related to a theft or something like a baseball through the windshield. Another optional coverage is collision coverage. This will insure you against damages to your vehicle that occur because of a traffic collision. In order to be covered in the event your accident happens with an underinsured or uninsured driver, you will need uninsured/underinsured motorist coverage. Other optional coverages include rental car coverage, towing and labor coverage, and medical and funeral services coverage. The aforementioned policy features are great to have if you own and operate a vehicle in California. However, insurance companies are notoriously difficult to deal with once you have been in an accident. The claims adjusters that insurance companies use will make it seem like they are on your side. But at the end of the day, they are working with the insurance company and keep their interests a priority over yours. That is why if you are ever in a car accident, you should seek the counsel of an experienced car accident lawyer. If you are looking for a lawyer with ample experience, then look no further than The Paris Firm. The California law firm has been helping car accident victims across the state since 1994. They will thoroughly investigate your case and make sure you get the compensation you deserve. They will also make sure your insurance company does not take advantage of you. Furthermore, The Paris Firm also handles personal injury claims. From simple injuries to catastrophic injuries, they can help you with whatever you need. Just take the time to fill out the online form and you can begin discussing your case with a lawyer today.